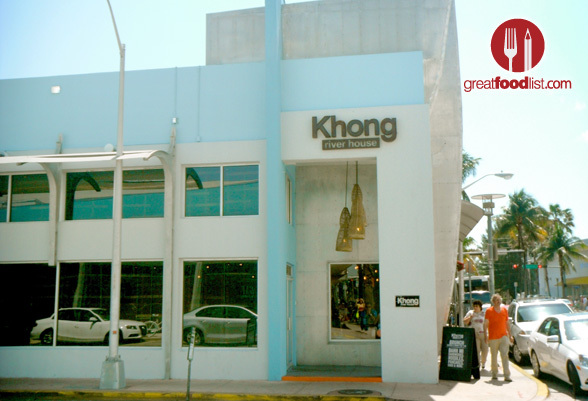 The masters behind the creative force 50 Eggs Inc., (credited with the culinary genius of Yardbird and newly opened Swine) is the force behind Khong River House, a restaurant offering authentic food of Northern Thailand to sunny South Florida. 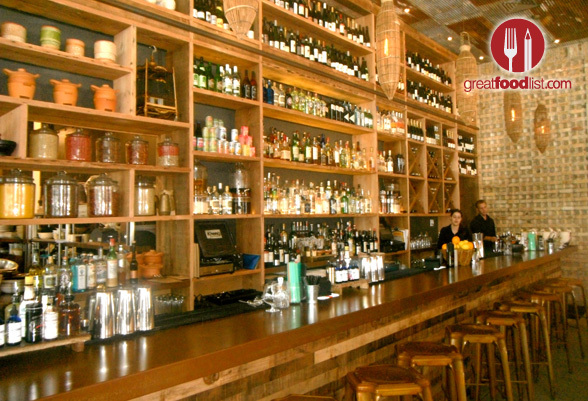 The décor is apt for its Lincoln Road and Meridian corner location. 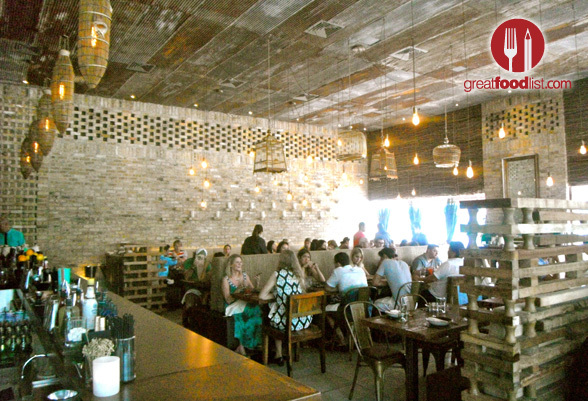 There are a plethora of hipsters that plague the tables, unassuming Asian décor and a wall-size bar that makes your mouth water at the thought of cocktail possibilities. The entire place oozes cool. The really delightful thing about Khong River House is the reasonably priced menu (the restaurant offers different menus for brunch, lunch and dinner) and the incredible quality food that one can enjoy at an otherwise overpriced location. On a hot Spring Break Sunday, we ventured to South Beach for brunch in hopes of enjoying good food and quiet calm amidst the heat and surplus of tourists. We’re happy to say we succeeded. The ordering process at Khong River House is a tad bit overwhelming but in the very best way possible. Although you might need the waiter for a few clarifications to help decode the Thai cuisine, the staff is eager to help. During our brunch extravaganza, we ordered from the “Buns” section and indulged in a Chang Hai Sausage & Egg Bun ($13.) The buns were soft, warm and deliciously fluffy. Stuffed with Northern Thai-style sausage, scrambled Lake Meadows Farm egg and local tomatoes, this small platter of three was the perfect start to our meal. 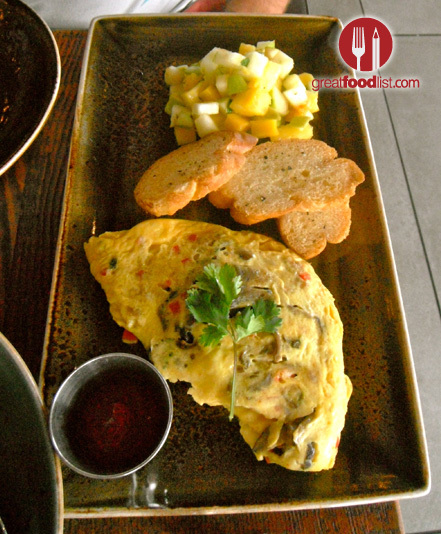 As our two main brunch plates, we chose the Omelet of the Day ($14) which happened to be a mushroom and herb omelet that came with seasonal fresh fruit (think mango, apples and pineapples) as well as a toasted baguette. 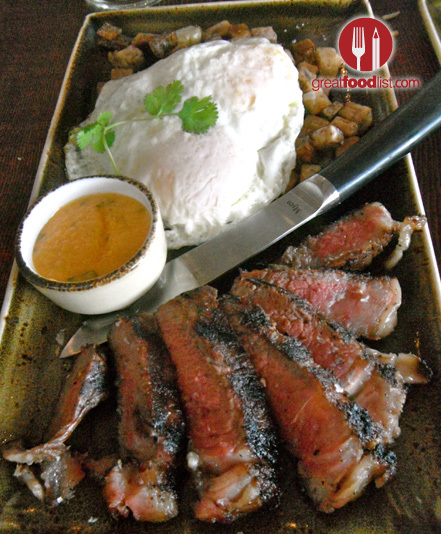 To stray a little from the traditional brunch dish, we also tried the Thai Steak & Eggs ($26) that offered a marinated and char-grilled Angus beef strip loin, Lake Meadows Farm eggs, Mama’s red curry Hollandaise and Taro Root Hash. The steak was delicious and juicy but what really had us yearning for more was the restaurant’s take on hash browns. These potatoes were used by using taro, which is a popular vegetable used in Thailand and essentially used as a substitute for traditional hash browns in this dish. Its mild, nutty flavor and accompanying sweet sauce left us craving for more healthy substitutes that could outperform our traditional favorites. However, it was the “Noodle” category that really left us convinced of Khong’s caliber cooking. The Fresh Thin Rice Noodle Stir-Fry ($14) easily puts any other noodle joint in Miami to serious shame. The fresh rice noodles were drenched in tamarind juice accompanied by minced pork, crispy tofu, chives and dried shrimp. 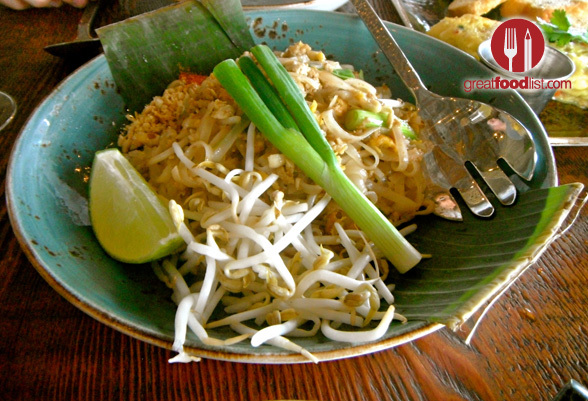 The dish is specific to the town of Korat (Northeast of Bangkok) and is a little like Pad Thai, only not as sweet, significantly lighter and richer in flavor. 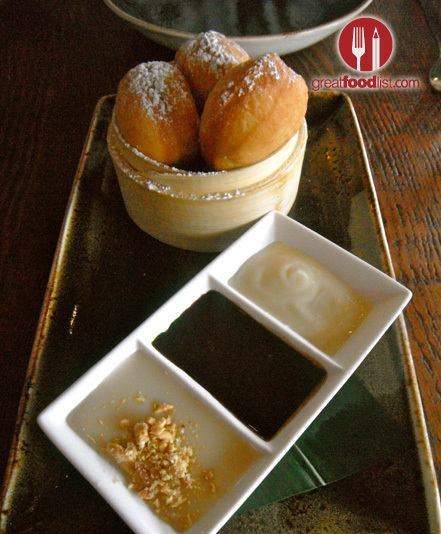 Of course like any good American in search of something sweet, we finished our brunch with some Thai Doughnuts and Hot Sweet Soy Milk ($8), which were served with three dipping sauces that aptly coated our freshly baked pastries with delicious added calories. 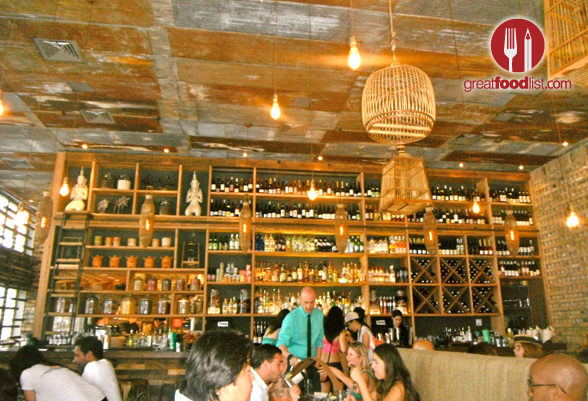 Khong River House is undoubtedly a perfect brunch location and a secure spot to get away from the chaos of South Beach – but not at the expense of good quality food. Something tells us it might also be perfect for lunch and dinner.